This is the introductory piece to a collection of essays by Crimethinc that examine the rise and fall of social movements and how anarchists respond to this phenomenon. It is an important exploration that offers ideas on how to position ourselves in relation to social struggles, how to participate, how to anticipate future struggles, and what to do in the low points between highly visible and broader struggles. The other three zines in the series look at Occupy Oakland, the upheavals in Barcelona from 2010-2012, and the student strike in Montreal. 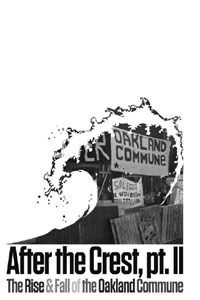 The second zine in the “After the Crest” series explores the rise and fall of Occupy Oakland. Its a thorough overview of anarchist participation in Occupy Oakland that offers helpful ideas and lessons that can be applied anywhere. 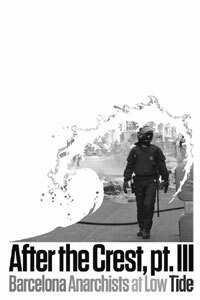 The third zine in the “After the Crest” series explores anarchist participation in upheavals and social struggles in Barcelona, Spain during the years 2010-2012. 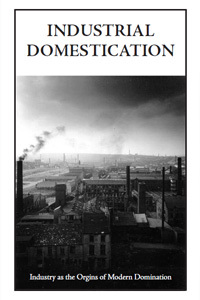 While the context always varies from location to location, this zine is written in a way that offers a lot of valuable insight for anarchists who find themselves participating in social struggles in which they may not be the dominant tendency. 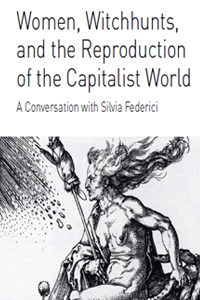 This zine is an interview with author Silvia Federici who is well-known for her book “Caliban and the Witch: Women, the Body and Primitive Accumulation.” The interview—which was conducted when her book was released in German in 2012—explores Federici’s work and both introduces and expands on the concepts she presents in “Caliban and the Witch.” The interview is a good introduction to her ideas and the relationship between the development of capitalism, patriarchy, the enclosure of the commons, and the witchhunts in Europe and North America. 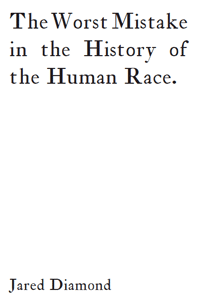 This zine is a reprint of an essay by Jared Diamond that explores the ways in which the development of agriculture had a detrimental affect on humans. Diamond argues that for most of human history humans supported themselves as hunter-gatherers and that the development of agriculture brought a number of negative impacts in terms of health, class divisions, and warfare. 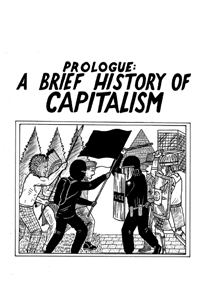 This short comic zine is an excerpt from Gord Hill’s The Anti-Capitalist Resistance Comic Book: From the WTO to G20. It presents a brief history of the development of capitalism in Europe with the efforts to enslave formerly tribal people’s in Europe, the expansion into the Americas, and the development of capitalism on a world scale. It ends in the 1990s with the fall of Communism, the rise of indigenous resistance, and the emergency of Neo-liberalism. 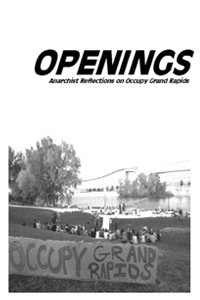 Openings: Anarchist Reflections on Occupy Grand Rapids is a look back at the Occupy Wall Street phenomenon as it manifested itself in Grand Rapids, Michigan. The zine explores how anarchists engaged with and participated in Occupy. From the initial start of Occupy Grand Rapids, to its effective conclusion after a failed “re-occupation,” this zine looks at Occupy’s use of anarchist ideas, the debate over demands, the participation of the left, and the response of the traditional activist groups in town. The zine uses lessons from Occupy to raise larger questions about anarchist action. 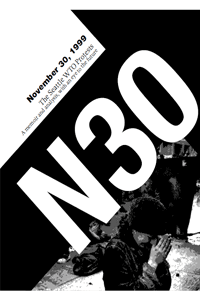 With the sub-title “The Seattle WTO Protests: A memoir and analysis, with an eye to the future,” N30 is an excellent overview by Crimethinc of the 1999 protests against the World Trade Organization (WTO). For better or worst, the Seattle WTO was one of the pivotal moments in recent anarchist history in the U.S. 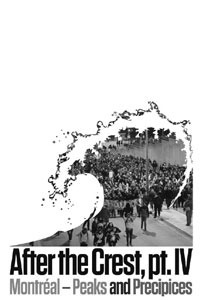 The zine combines an exciting personal account of the protests with a somewhat more academic—but nevertheless interesting—analysis of the protest from the RAND Corporation. Very long and very detailed! For years, the Greek anarchist “space” has been a source of inspiration and interest for many folks here in the United States. 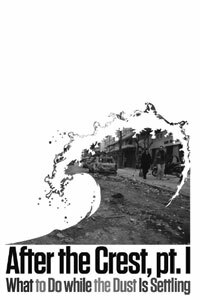 Koukoulofori is a zine that aims to provide some much needed political background on the Greek anarchists. The zine explores some of the political context and the organizational forms and methods used by the anarchists. It contains excerpts from the book We Are An Image From The Future as well as few essays written by anarchists interested in exploring what Greece means for anarchists in the U.S. 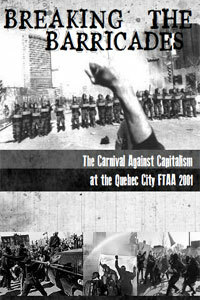 This Canadian zine provides a historical overview of the black bloc tactic and anarchists’ use of it. 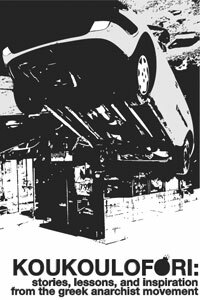 It looks into the origins of the black bloc tactic in the Automen (Autonomist) squatting movement in the 1980s in Germany and its spread across Europe and to North America. 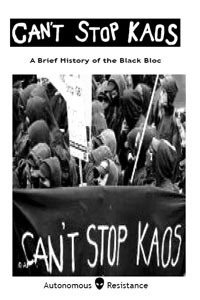 In addition, the zine delves into the some of the philosophy underlying black blocs, talks about the concept of “diversity of tactics” and the need for militant resistance, and provides examples of black bloc tactics. The Compassionate Contrarians is the first comprehensive history of vegetarianism in Aotearoa New Zealand; in it writer Catherine Amey describes how animal-free diets evolved in New Zealand from Victorian vegetarians through to modern animal rights campaigners. In the nineteenth century, British colonists explored meatless diets. Early vegetarians dreamed of international disarmament, equal rights for women, prison reform, the dismantlement of the British Empire, anarchism, socialism and a ban on alcohol. Among them were animal rights activists, Seventh Day Adventists, theosophists, pacifists, conscientious objectors, feminists, socialists, anarchists, free-thinkers and spiritualists. The Compassionate Contrarians uncovers the quirks of the vegetarian experience in a land of meat and dairy. More importantly, it acknowledges the hard work and courage of a group of idealists who dedicated their lives to creating a more just world for all sentient beings. On October 15th, 2007 an estimated 300 police raided houses all over Aotearoa New Zealand and arrested people based on warrants issued under the Terrorism Suppression Act. Lives were turned upside down as the police searched for evidence of ‘terrorism.’ This book is a collection of oral history interviews of people affected by those raids and the aftermath. It’s 1936 and the world watches religious powers and fascists erupt into conflict with the proletariat left and anarchists in Spain. This zine presents a well-rounded and succinct account of the turbulence in late 30’s Spain. Complete with illustrations and a logical account of the complications throughout the civil war, this is an excellent zine for understanding history often poorly presented in high school. While past histories depict Christopher Columbus as either god-sent angel or bloodthirsty demon, Simple History Series author J. Gerlach opts to let the events stand on their own, allowing readers to draw up their own conclusions. The result in Gerlach’s heavy illustrated Christopher Columbus and His Expeditions to America is a fair and objective portrait of the oft-maligned man. As says Gerlach, “Columbus’ importance is debatable. His drive and courage put him in position to ‘discover’ America, but his greatness depends on your definition of the word ‘great. '” The story presented here is one of wholesale murder, wild ambition, and supersized gold lust. It’s a dark piece of our history made even darker with facts generally left out of textbooks. But, as always, Simple History allows us to think for ourselves. In this age of heavily biased “news” media and propaganda-as-documentary, this brand of objective history-telling is refreshing and much needed. The story of the Congo is the story of imperialism, foreign governments drawing boundaries and associating disparate tribes, resources being mined and profiting the rich and powerful, racism, fears and stories of cannibalism, civil wars, a series of corrupt foreign and domestic leaders, and no end in sight. Once thought of as “The Dark Continent,” Sub-Saharan Africa has a long and dreary road ahead to take back their country’s own resources and construct a positive path towards its future. This is the tale of how the war-ravaged Congo never stood a chance at forming its own democracy or nationalizing wealth produced within its borders. The Simple History Series is an ongoing set of digestible bits and stories told the way they are often not taught in school. Epilogue: Leopold hired a man to give his deeds in The Congo a positive public image. When personal relations between them went sour, the publicist sold their correspondence to Randolph Hearst, showing the actual deeds of Leopold in The Congo and the resulting generations of atrocities that unfolded there. In the latest installment of the Simple History zine series, author J. Gerlach takes a look at the Cold War. An era of nukes and paranoia, witch-hunting and gun-running, the Cold War was a complicated and oft-times terrifying time in our world’s history. Says Gerlach in the introduction, “The Cold War is a popular topic of debate for historians because of the large number of ‘what-ifs’ and the immensity of the consequences should a bluff be called, or an itchy trigger finger released. There seems to have been opportunities, both for an honorable end to the conflict, and for complete world destruction.” From the post-war “reconstruction” of Asia and Europe to the Bay of Pigs and Perestroika, Gerlach’s book comprises a wide cross-section of the important events of the last 70 years and gives its objective facts in a clear-minded, engaging, accessible fashion.